1 Review for Do You Take This Man? On the eve of their wedding day as plans are underway for a rehearsal dinner for family and a few close friends, Daniel (Anthony Rapp) and Christopher (Jonathan Bennett) begin to show their nervousness. Daniel is a real control freak becomes stressed over the smallest details. The two grooms seem to have totally opposite personalities and when Christopher suddenly brings his old best friend from high school home for the rehearsal, Daniel is very upset that his seating plan will be ruined by this unexpected guest. He is even more annoyed by the fact that Christopher has never even mentioned Emma (Alona Tal) before now. As the evening progresses and the tension between the two men bursts into an argument because they realize that neither of them have been totally honest about their pasts. However what the two confess about is inconsequential. Daniel is the older of the two partners while Christopher looks like a boy toy. Yet, he proves to be more strong willed than we first think. The action takes place over the course of a single day. Two of Christopher's friends have planned a surprise as their wedding present, they have located a woman who was Christopher's closest companion while they were growing up. They have been out of touch for years, and while Christopher is delighted to see her, while Daniel is upset since he had never knew she existed and is agitated that an extra guest will throw his dinner party into a state of disarray. Christopher feels threatened by the presence of Daniel's closest friend, Jacob (Mackenzie Astin), who might have had a more intimate history with Daniel than anyone is admitting. Then Daniel's loving but intrusive parents and his emotionally wounded sister arrive and the woman who was supposed to perform their wedding is dumping them to accept a part in a Scorsese movie that requires her to leave town first thing in the morning. On the other hand Christopher's friends Summer (Hutchi Hancock) and Bradley (Thomas Dekker) have been unconvincingly making a big thing about the age gap between him and Daniel which is in fact a mere 7 years, and anyway by the end of the evening Bradley has hooked up with Daniel's ex boyfriend Jacob (Mackenzie Astin) who is much older than him. The cast is talented and good-looking all around and some of these problems are played for laughs. Joshua Tunick's script is just too flat and there is potential for this to be quite a good film. The cast certainly helps to make the weak drama watchable. With the Supreme Court's decision on marriage equality the story is timely. 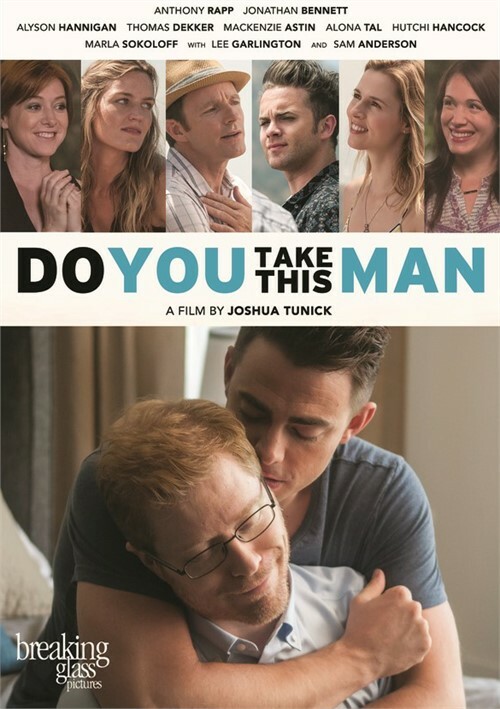 Writer/ Director Joshua Tunick has crafted a lovely and romantic drama about the challenges surrounding the concept and commitment of marriage and anyone who has ever been in love will identify with the movie.